For the whole of February we are offering 10% off our popular Signature and Green Detox Programmes. Each detox programme comes with up to 6 bottles of juice and milk/water and is designed to be meal replacements for the whole day. Orders can be placed on-line or in-store for multiples of days or for the more experienced juicers, purchase our convenient 3 day, 5 day or 7 day programmes. Coupled with an unhealthy diet or other unhelpful lifestyle factors the overall toxic load can begin to overwhelm the body’s ability to detox effectively. This can give rise to all sorts of problems. The first signs and symptoms usually show up as congestion of one or more of the body’s organs of elimination. To find out if you would benefit from a Barannes Juice Detox answer the questions below. If you have answered 'yes' to 3 or more of the symptoms above – then YES you do need to detox and are likely to benefit from one of our Juice Detox Programmes. If you have any doubts about whether a detox would be suitable for you then get in touch with your medical doctor or naturopathic doctor for advice and support. In many cases a detox can be carried out under a physician or naturopath’s supervision. We’ve increased our range of organic breakfast products and have new cereals and toppings for you to enjoy. Red Fruit Crunch - Crunchy, fruity and really tasty granola breakfast cereal with so many berries they can make your milk go red! Great for adults and children alike. 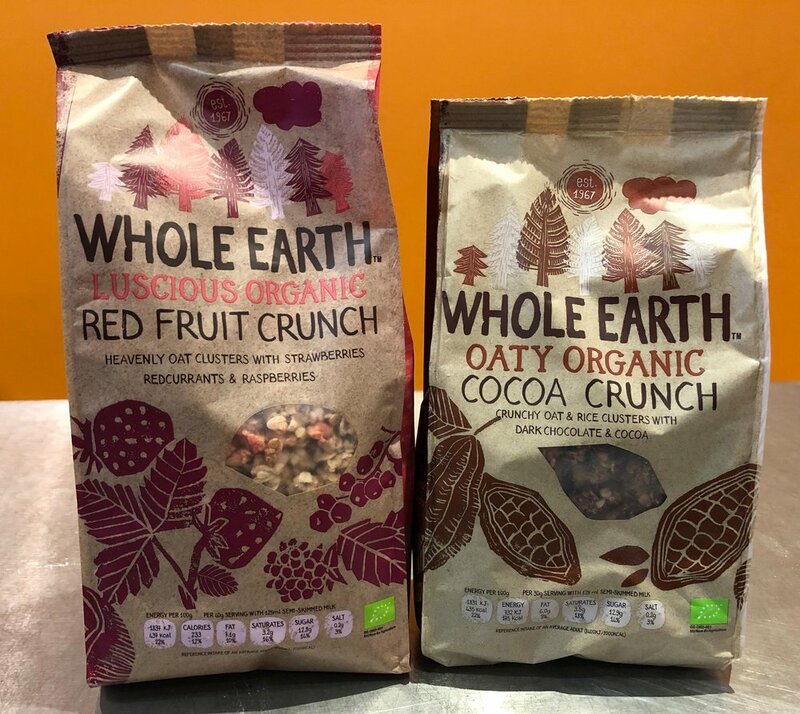 Delicious clusters of organic oats with redcurrants, strawberries and raspberries, the perfect granola cereal for fruit lovers. Oaty Organic Cocoa Crunch - A dazzling mix of crisp, chocolatey clusters of oats and rice will leave you wanting another bowl time after time. The organic ingredients, free from artificial additives simply leaves more room in your bowl for yummy cocoa crunch! Go on, dive in! Superl!fe Oatmeal and Breakfast Superfood Topping is a unique blend of 5 organic superfoods in wholefood form. This Breakfast Topping blend is Talya's original recipe. For years she used it in her own breakfast and recommended it to her clients, from which they experienced positive long-term results. When Talya & Diarmuid set up Superl!fe with their mission to make healthy eating easy, they decided to put these 5 superfood ingredients all into one packet. Superl!fe Original Smoothie Mix is a unique blend of 8 organic superfoods in powdered form to instantly upgrade any drink, adding abundance of nutrients. This specific blend is an original recipe Talya created and for years gave to her clients, from which they received great results. When Talya & Diarmuid set up Superl!fe, they decided to put this 8 ingredient superfood blend all into one pouch.